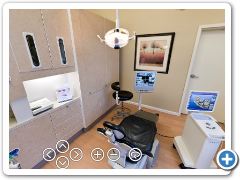 Your dentists in Charlottesville are ready to boost your smile. Have a look around our beautiful and comfortable office. We place your needs as a priority and only use the latest techniques. 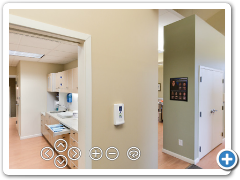 We are conveniently located next to the Albemarle Square Shopping Plaza in Charlottesville and offer on-site parking. For your convenience, you can download or complete your forms online. Enjoy taking your time while filling in your forms at home. 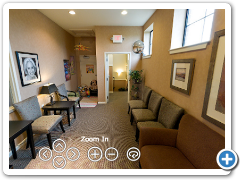 Take a look around our office before your first visit. 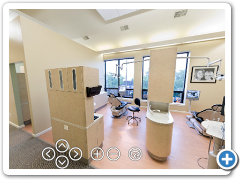 Experience the Aesthetic Dentistry in Charlottesville difference. – Right past the intersection of Rio Road and 29N. – The shopping center is next to Albemarle Square Shopping Plaza, across from Colonial Auto Center. – In the shopping center next to ACAC Fitness and Wellness Center.